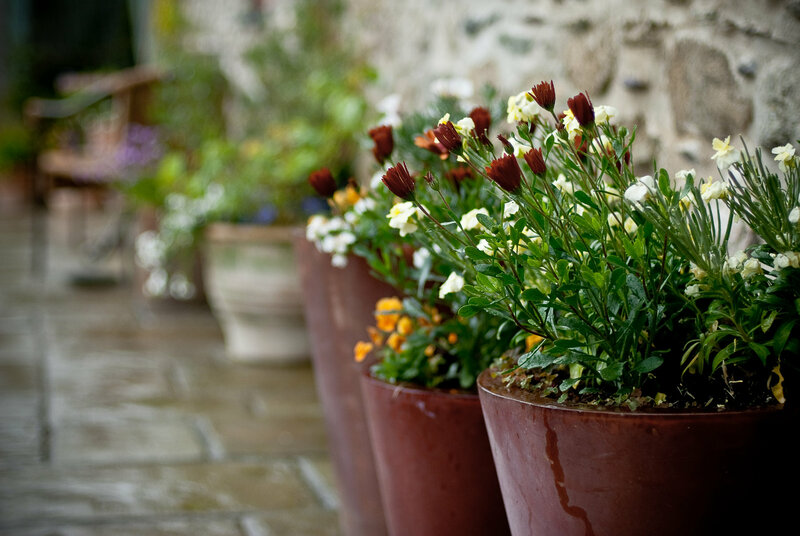 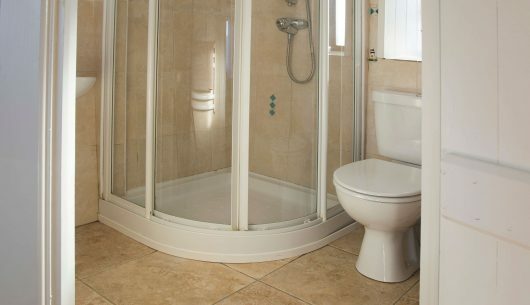 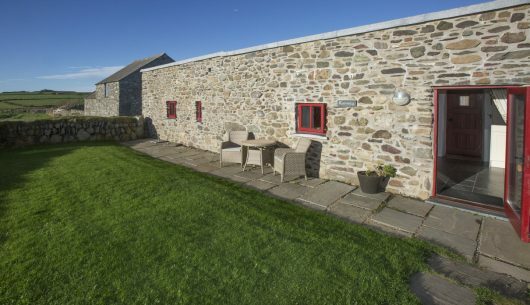 Relax and get away from it all in Ramsey holiday cottage. 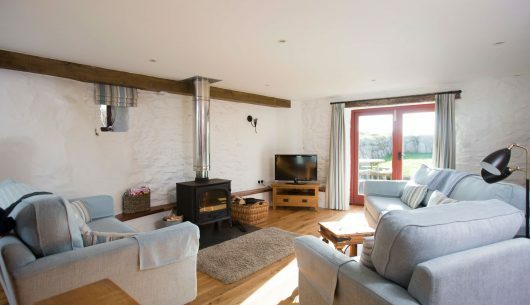 This lovely romantic holiday cottage for two is a five minute walk from the sea and just one and a half miles from historic St.Davids. 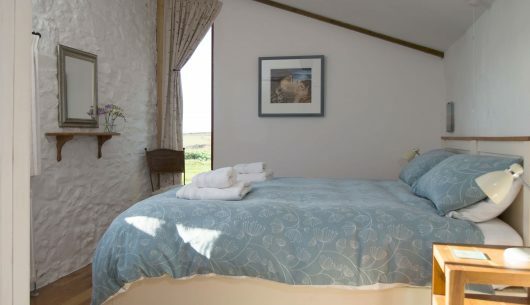 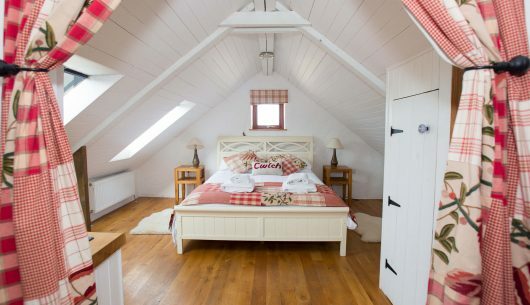 Beautiful coastal walks all around and view the sea from your bed. 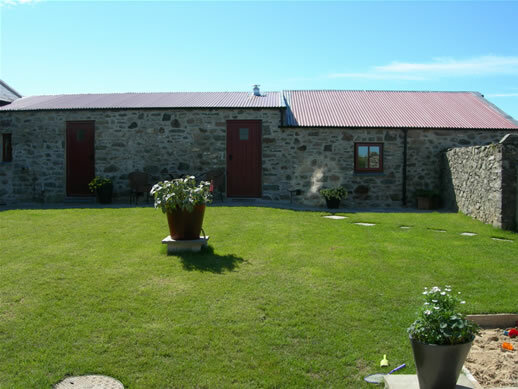 Also available as a twin bedded cottage . 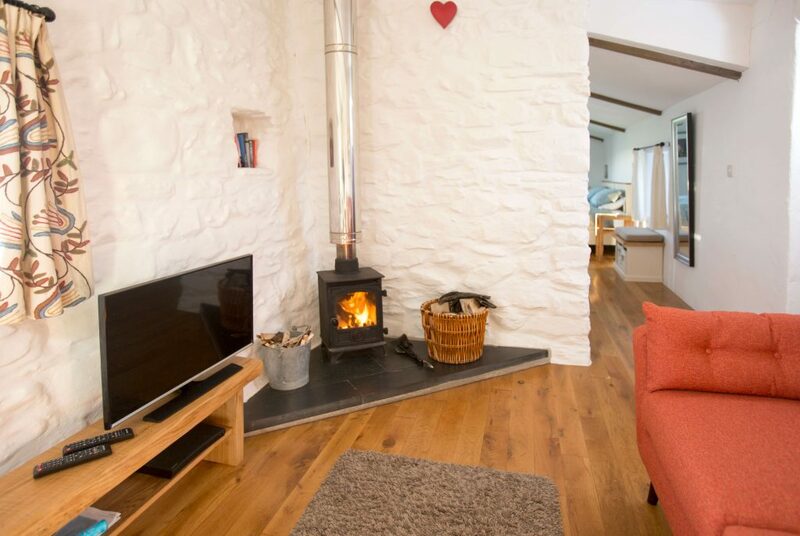 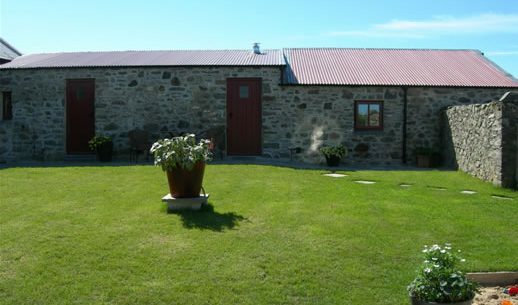 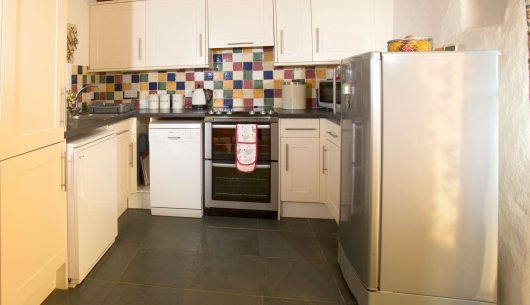 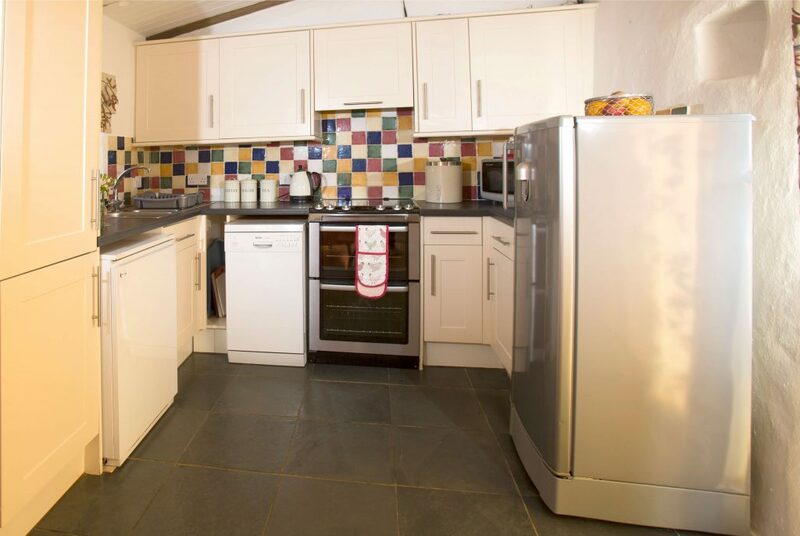 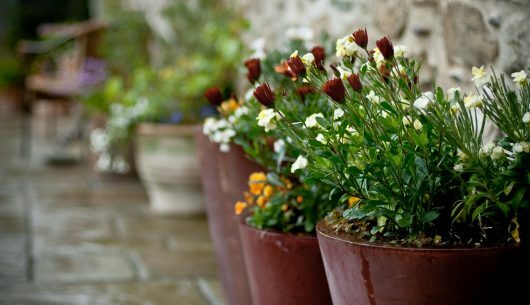 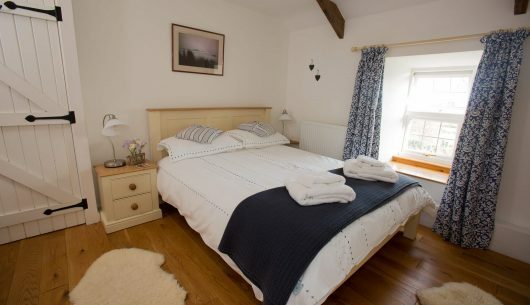 Ramsey is a delightful, light and airey cottage , a very popular choice. 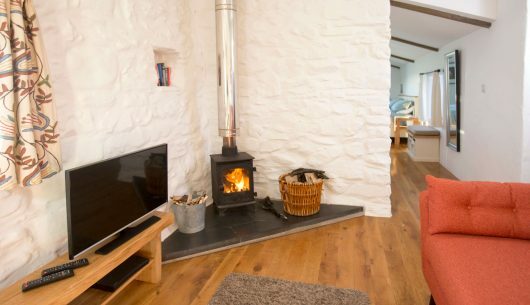 Unwind and snuggle -up with log-burner, logs provided free of charge. 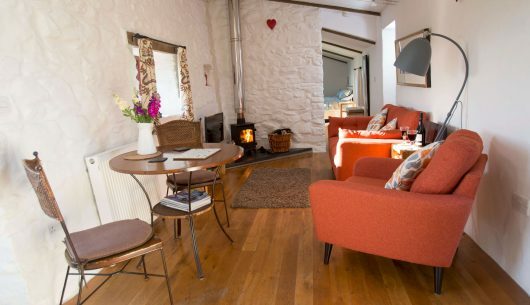 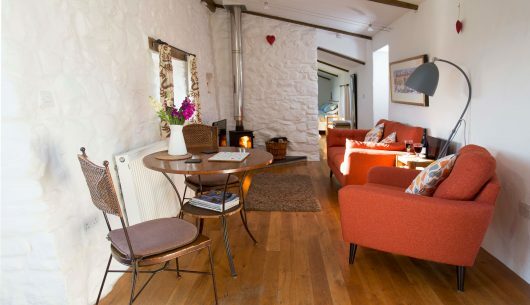 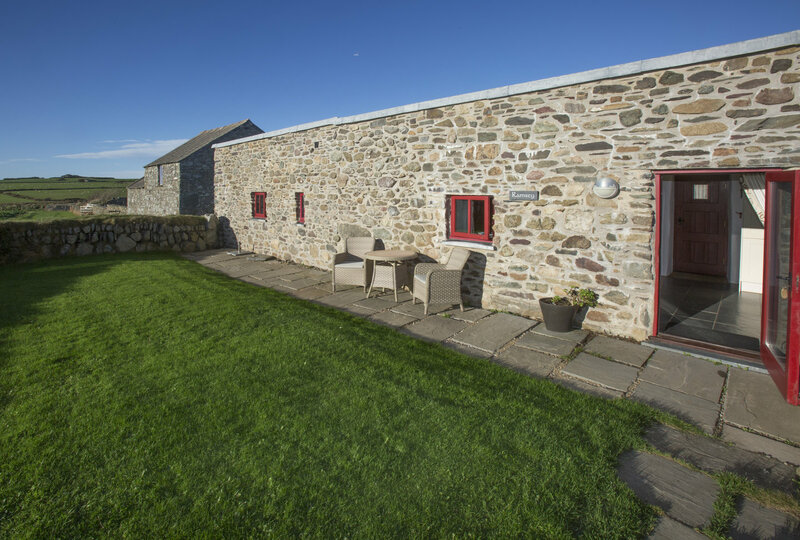 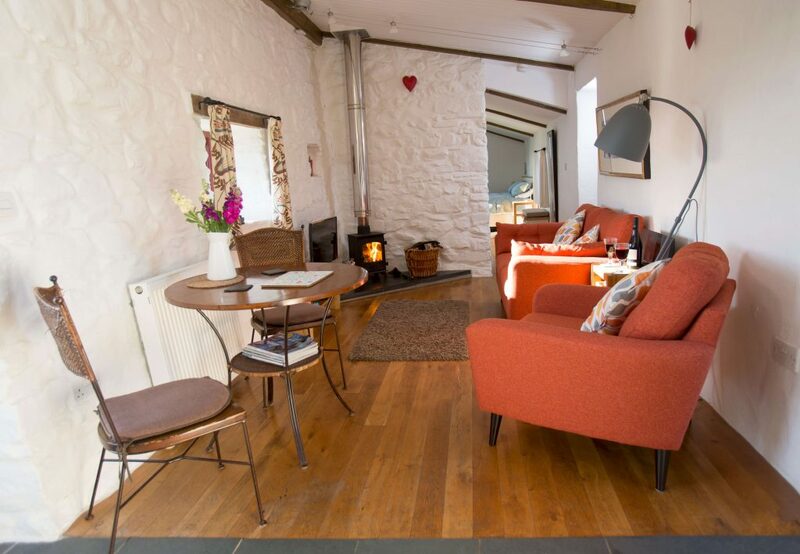 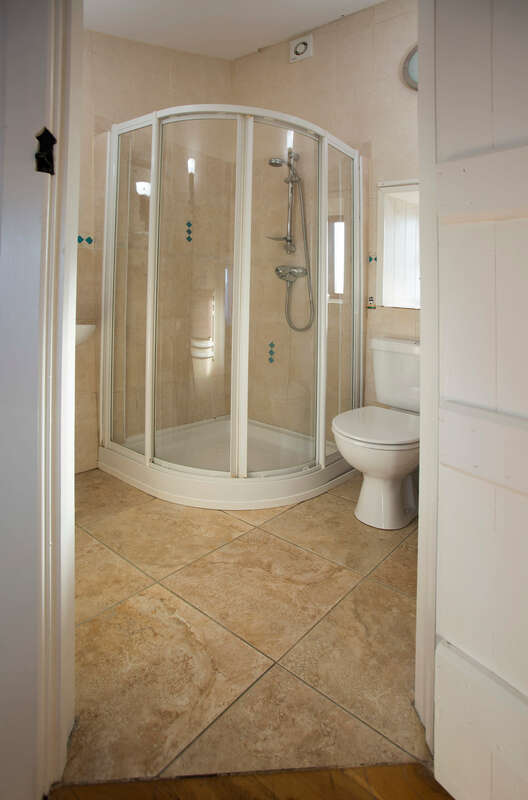 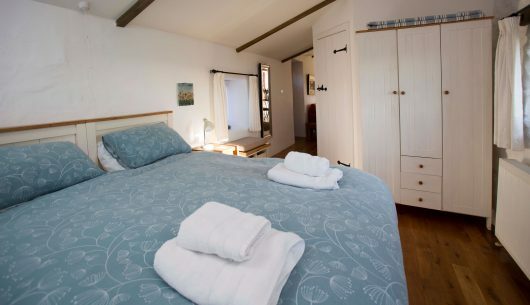  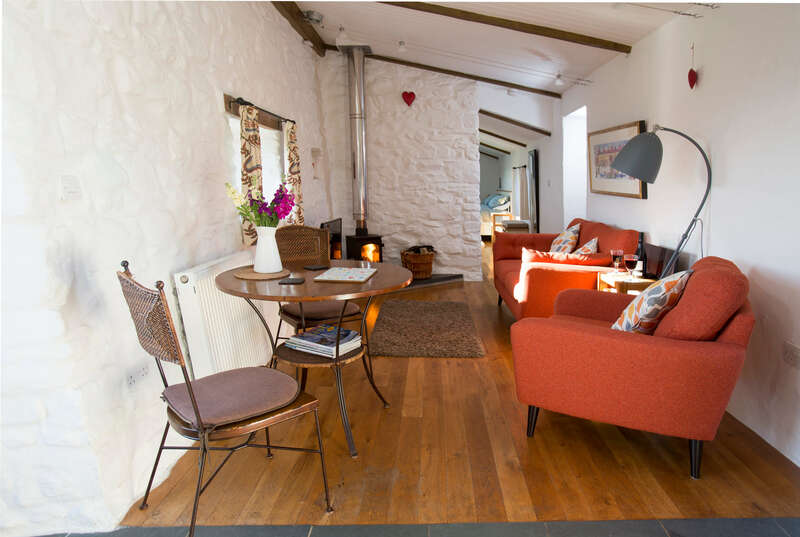 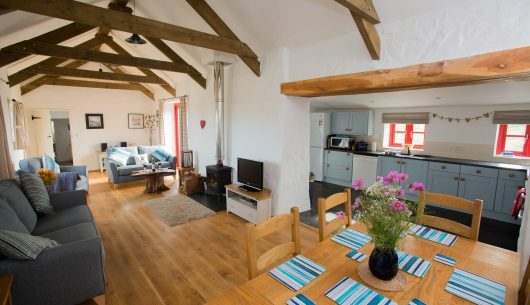 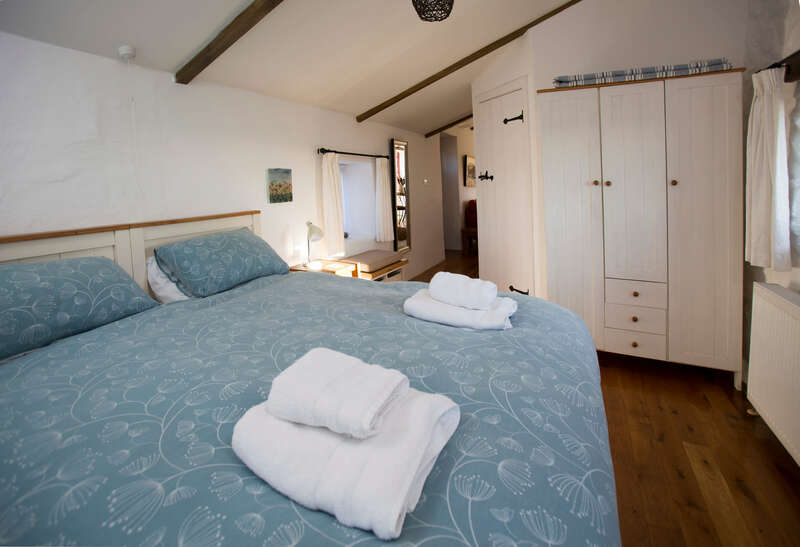 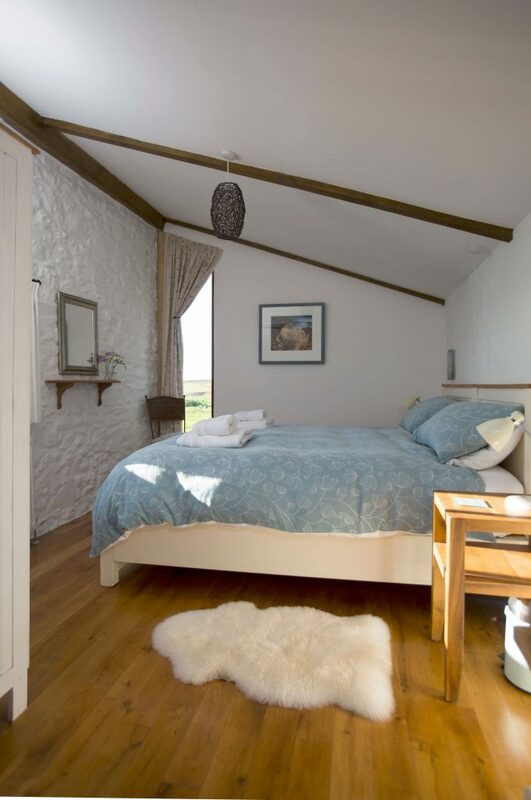 There is no bath in this cottage – shower onlyAll cottages are of a traditional design with roofing peculiar to Pembrokeshire and for those cosy winter breaks all have wood – burning stoves with logs provided.